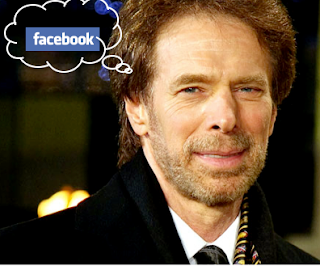 Award-winning director Jerry Bruckheimer has turned to Facebook to find actors for his films. The legendary director used the popular social networking site to cast one of the free-running stars for his new movie, The Prince of Persia. "We brought in the key experts out of France to work with us on the movie," said Bruckheimer. "In the opening there's a young man who portrays Jake Gyllenhaal as a young boy, and he was a Parkour expert. And he's ten years old. It's amazing. Absolutely amazing. They sent us online, like Facebook, things of these kids and this kid was extraordinary so we hired him." Look out for acting reels on Facebook pages near you.